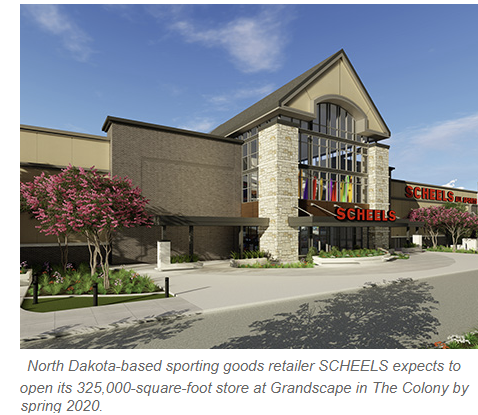 THE COLONY – Construction has begun on a 325,000-sf location for SCHEELS, a sporting goods retailer, in the northern Dallas metro of The Colony. The store will be located within Grandscape, a 433-acre mixed-use property being developed by Nebraska Furniture Mart, a division of Berkshire Hathaway. ​​See Dallas-Fort Worth-Arlington Retail Market Research for quarterly market reports.